Pictures may not fully capture the beauty in design and craftsmanship that this 1507s Kwaiken exudes in person. 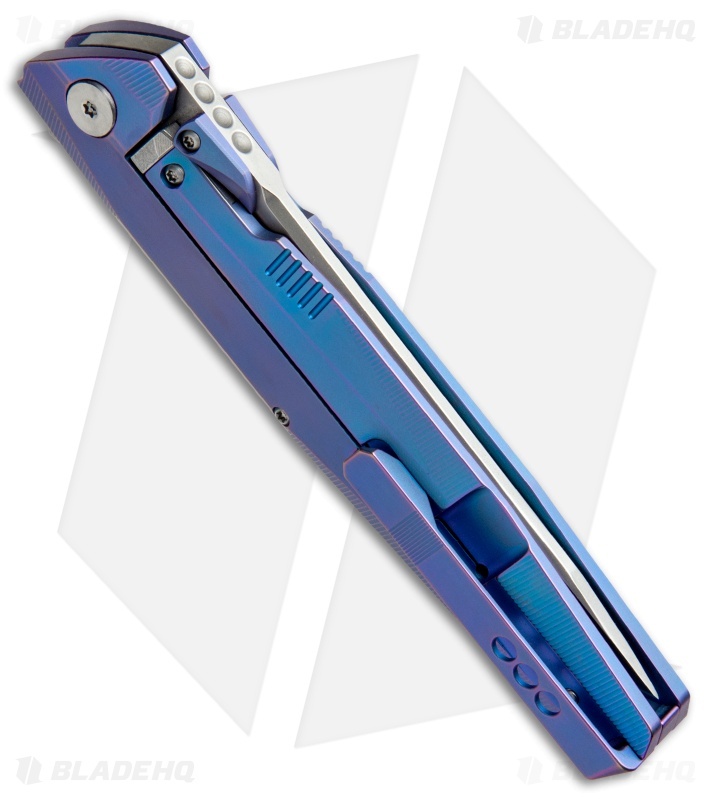 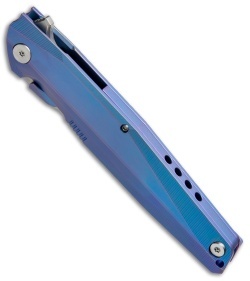 It has a blue anodized titanium handle with a milled pocket clip, steel lockbar insert, and overtravel stop. 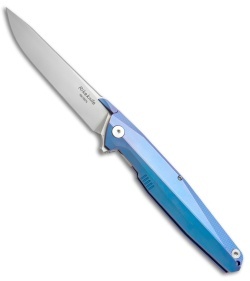 The blade is S35VN stainless steel with a bead blast finish finish. Action on this knife is top-notch and won't disappoint.